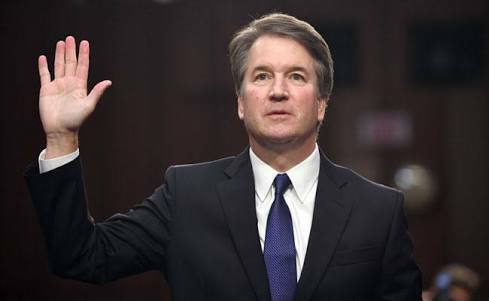 The U.S. Senate has voted 50-48 to narrowly confirm Judge Brett Kavanaugh to the U.S. Supreme Court, ending a bitterly divisive fight over the controversial nominee, according to a report by AFP. The outcome came amid controversy over s*xual abuse allegations. Even as the vote was being cast, more than 1,000 protesters rallied in Washington against the judge, with questions raised over his candour, partisan rhetoric and lifestyle as a young man. The month long battle over the nomination has roiled American passions — the vote was disrupted on several occasions by angry protests in the gallery — but handed Trump one of the biggest victories of his presidency. It drew the line under a bruising nomination process defined by harrowing testimony from a woman who says Kavanaugh tried to r*pe her when they were teenagers — and by his fiery rebuttal. The confirmation reflects a high water mark of the Trump presidency: Republican control of the White House, the Senate, the House of Representatives and the judiciary’s top court. But the confirmation hearing inflamed passions as never before.